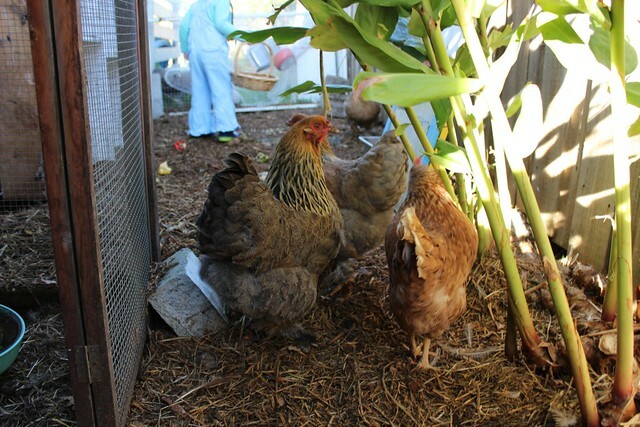 At around the same time, the opportunity came to adopt some beautiful Brahma hens. 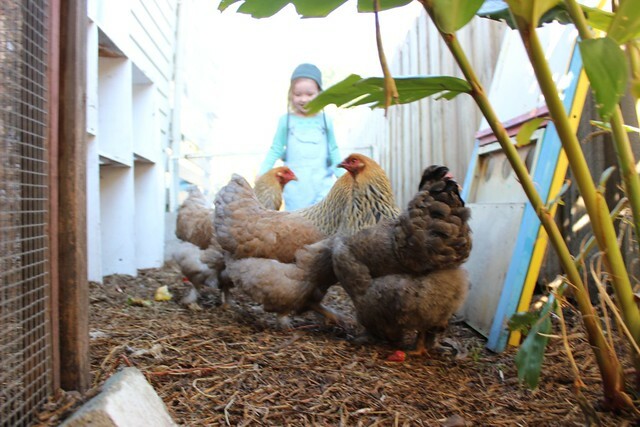 Company for our lonely remaining chook, Private, and a chance for eggs of our own. Tiny was excited. 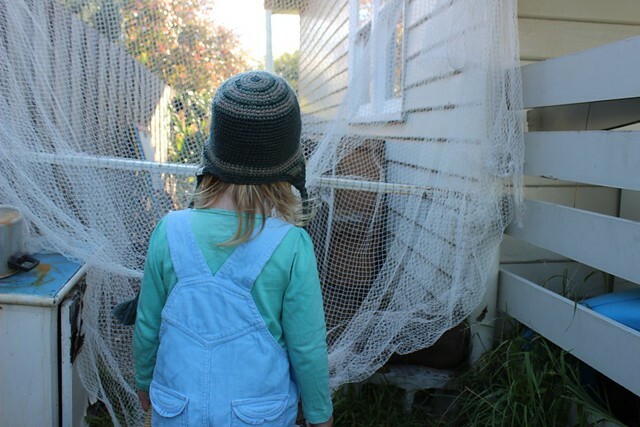 Three hens for three Owlets. 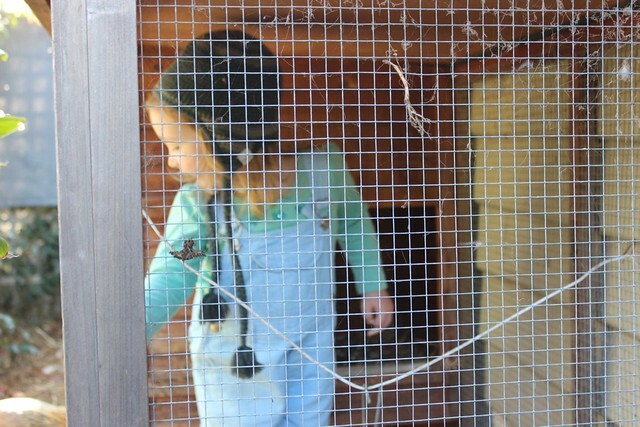 Big Owlet named her chicken Fawn. 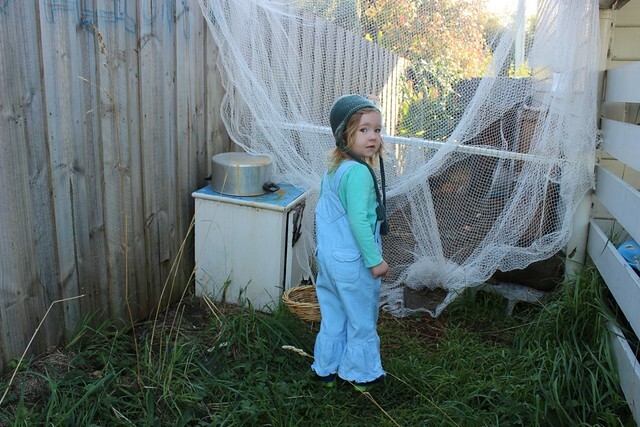 Little Owlet's chook is the biggest. 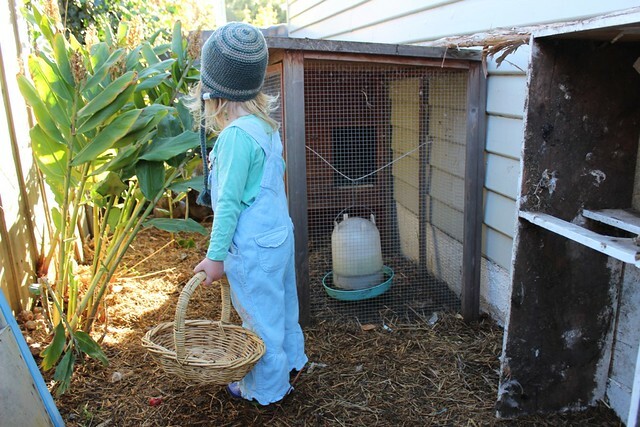 She named her Alexandra, while Tiny named her chicken "my Lily". Lily likes to sit on Tiny's windowsill, staring in at us. 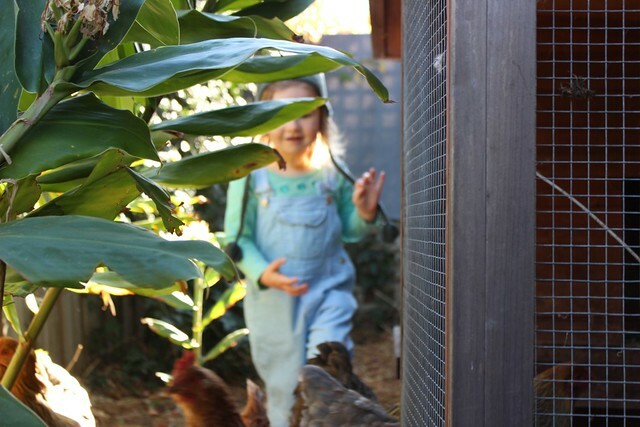 And Tiny loves to climb into the chook pen to look for eggs, pat chickens and just hang out, an hour at a time. They're among her best friends. She never ceases to amaze me with her love for life and all living things. She never runs out of things to do and is never stuck for conversation. 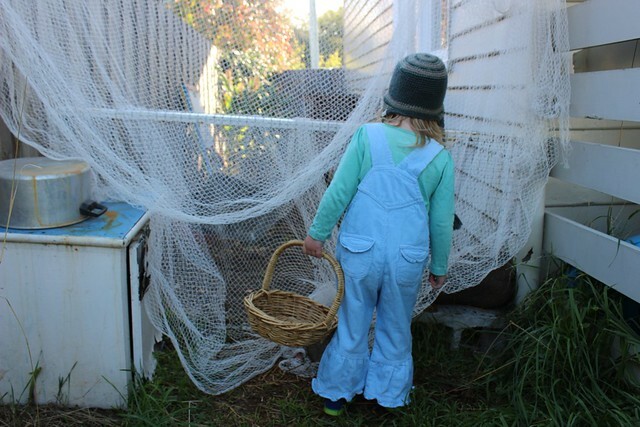 I'm looking forward to the spring with Tiny. 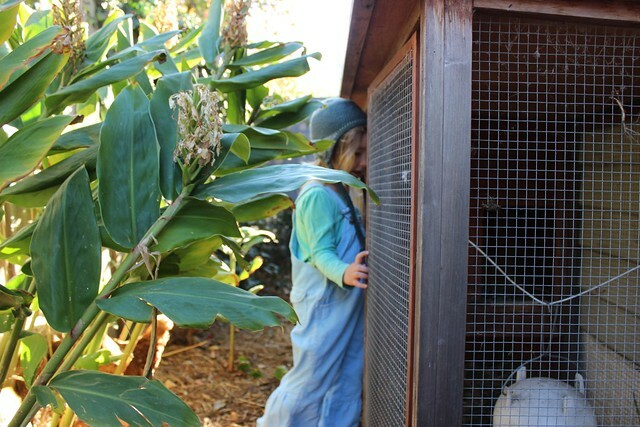 Permaculture plans, a new space for the chickens and room for Tiny to stretch her legs with them while I garden nearby. It's going to be wonderful. Do you have any plans afoot? 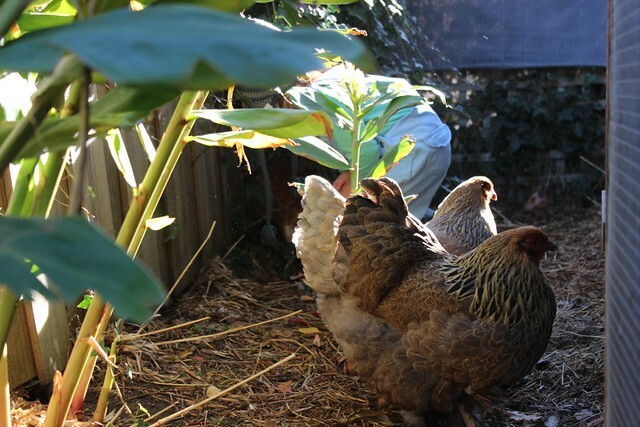 Any chickens in your garden to love?